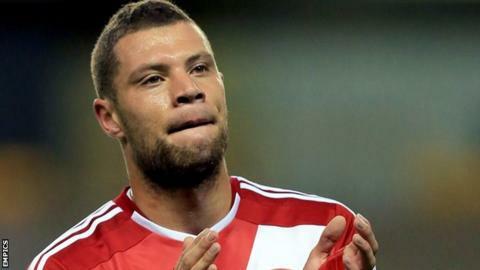 Middlesbrough head coach Aitor Karanka says Yanic Wildschut's first start at Rotherham is evidence players are given a chance to impress at the club. The 23-year-old scored for the Teessiders in their 3-0 victory following his deadline day move from Dutch side Heerenveen. The former Netherlands under-21 international had previously made three league and cup substitute appearances. "The players will always have a chance," Karanka told BBC Tees. "Yanic had his, he played very well, but not just because he scored a goal - he also worked hard." Karanka has enjoyed the luxury of squad rotation, with winger Lee Tomlin and striker Jelle Vossen both operating from the bench against Rotherham. And the depth of talent at the Riverside has helped Middlesbrough climb to third in the Championship table, with 27 points from 15 games. "It's very good, it means we have very good players - Jelle Vossen played 20 minutes and it was perfect, he's the kind of player I want in the team," Karanka added. "He's played for his national team, but he's on the bench, comes on to the pitch with 20 minutes to go and he's the first working, running and fighting for the team. "You can have a lot of players, but imagine if we had the same squad but 10 or 11 players didn't train to the way I like or come on for 10 or 15 minutes but don't play in the way I like - I'd have to pick the same side for every single game. "I have a very good squad and they can all have their moments."